Your employees are your brand in action, regardless of the size, type or location of your business. This is even more important for experiential brands. Face it – Employees can make or break your brand and too many businesses tend to under-estimate the value they contribute. 3 Examples of employees as brands in action. To make this tangible, here are 3 examples where the employees were the brand. With their dedication to solving customer problems, they add great value to each brand’s reputation. Employees from these three companies made my trip to Content Marketing World in Cleveland special despite the fact that it took me 24 hours to get home due to weather. Granted travel and hospitality brands by their nature involve employees in the brand experience, but these employees took extra pride in their jobs. 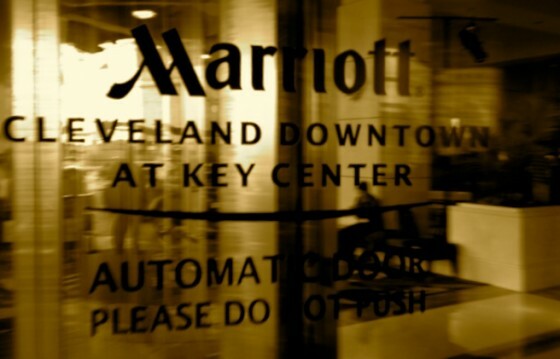 Matthew at the Cleveland Marriott Downtown. Matthew was one of the friendliest front desk people I’ve ever encountered. 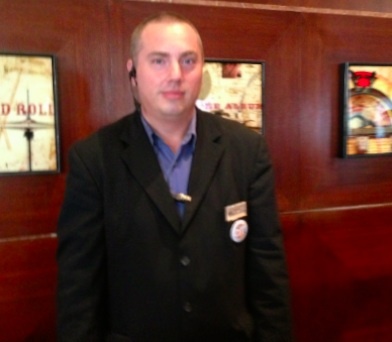 In the spirit of Content Marketing World, he wore a CMI button to support the show. When I stopped by to make some suggestions, he went out of his way to make my stay better. As I was leaving and couldn’t get their kiosk or business center to print out my boarding passes, he got them printed from the front desk. 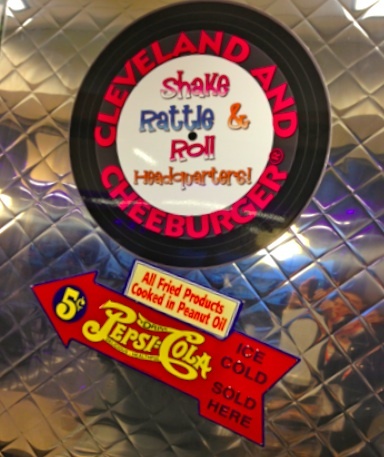 Tamarra at the Cleveland Airport Cheeburger Cheeburger. The policeman outside the TSA screening recommended Cheeburger Cheeburger since their milkshakes were the real thing! Unfortunately, I have a knack for arriving at airport ice cream vendors five minutes after they close. 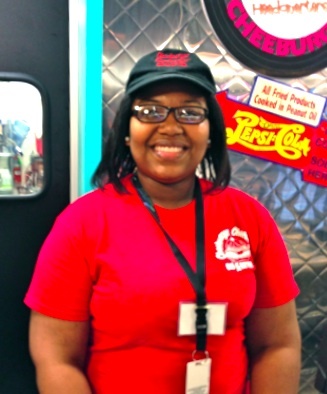 When I related this story to Tamarra, she made an exception and served me chocolate ice cream. Even better, she posed for the photo below. Here are 5 ways that your employees make your brand a reality. 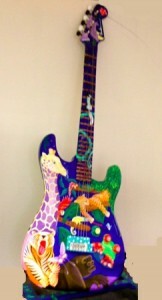 Bring your brand to life. Employees give your brand a face and voice. Brands are more than a two dimensional logo slapped onto products. In today’s connected world, your brand encompasses a broad spectrum of attributes. Your employees make these traits real. Actionable Marketing Tip: Set standards for how employees should dress and present themselves when representing your brand. This should apply to all of your employees not just those in customer facing jobs. Embody your brand’s core values and principles. This encompasses not only how your employees look, but also how they act. Do they look bored? Only talk to other employees? Trader Joe’s employees are a great example of how your employees should act. They’re always friendly and helpful. Actionable Marketing Tip: Incorporate your brand principles into job screening and employee on-boarding processes. Deliver brand proof. Marketers should assume that prospective buyers (unless it’s an impulse purchase) have done their initial research online including social media. In the process, they’ve been exposed to your brand and have developed an opinion about it before interacting with your employees. (This is the Zero Moment of Truth. Here’s a link to the Marketing Moments of Truth chart.) Your staff must confirm that their (hopefully positive) impressions are right. Actionable Marketing Tip: Educate your employees about your brand and its message to ensure that each member of your team consistently provides consistent evidence of your customer promise. Many businesses, especially small ones, overlook the need to train and market to their employees. Provide brand engagement in real time. Regardless of how buyers decide to contact your business, whether it’s in your store, on the phone, via your website or via social media, your employees who respond are your frontline. They deliver the potential of your brand promise. (P&G dubbed this the First Moment of Truth.) Actionable Marketing Tip: Use these interactions to gather input as to what your prospects are seeking from you. Where possible, capture this information so that it can be used as feedback and input for your marketing. Produce brand stories. Unlike social media, your employees enable your brand to interact with prospects, customers, fans and the public. In the process, they build a narrative around your products and services. These customer accounts make your brand tangible and memorable. 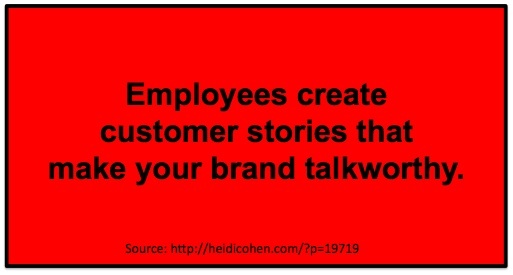 Employees create customer stories that make your brand talkworthy. Actionable Marketing Tip: Equip your employees to capture customer stories about their experiences but don’t forget to get permission to use customer images, especially if children are involved. The bottom line is your employees are your brand. Their interaction with your potential buyer is the story that will be told and shared, not yours. What do you do to ensure that your employees embody your brand? Big tip of my hat to these hard working employees since they truly made my Cleveland trip better! Photo Credit: (c) 2013 Heidi Cohen – All rights reserved–Big thank you to Matthew & Tamarra for letting me use their images. 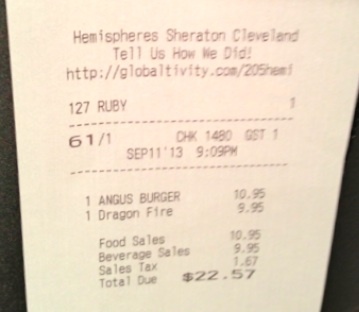 Tags Cheeburger Cheeburger, Cleveland, Content marketing world, Marriott, Sheraton. Bookmark the permalink. Such an awesome article Heidi. I really appreciate when you said it’s the dedication of employees to solving customer problems that they add greater value to each brand’s reputation. I also agree to the fact that telling a story that is irresistible, compelling and provocative in a way that your target audience will hear you seamlessly will position you and your company as a leader in the marketplace. This post illustrated your points quite effectively! Everybody likes to have a moment to feel special, or in the spotlight, which is why I think your last point about building brand stories is so awesome. Showing that you’re proud and interested in your employees as people encourages them to be loyal and positive team players!